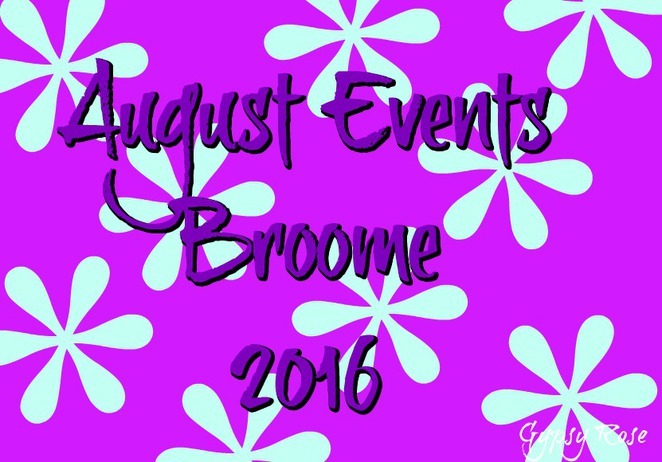 Where: Various locations across Broome- see website. Details: This festival will feature a range of events, activities throughout the Festival including competitions, storytelling concert, opening ceremony, talks, books bonanza, games including giant scrabble, poetry, workshops and more. Click here for website. Details: This event will showcase stand-alone outdoor presentation of artworks, and mixed shows of artworks. Details: This exciting event will include music, picture shows and food experiences created around the distinctive Indigenous culture within Broome's multicultural community. There will be entertainment, stalls, art & craft, tradition & heritage and activities. Click here for website. Cost: Click here for all ticket pricing. Details: This event will showcase a passion for Opera with Opera performances under the stars. Click here for website. They have a lot going on which I would not normally expect and it's nice to see what they run there.